AutoBodyAlliance.com is your one-stop source for finding auto body repair facilities in the United States. Our database has over 50,000 different body shops to choose from throughout the country which can be found by a combination of name, geography and by the services they provide in order to help you find a reputable shop that meets your needs for all of your automotive damage repairs. Finding a body shop is easy. Simply go to the Shop Search page and enter the location criteria. You can either search for body shops by name and location, or you can use the Near Search to find body shops within a particular radius of your current location. The results of your search will show both a listing of body shops that met the criteria you were searching for as well as a map showing the location of the shops in your search results. If you are a repair facility or an insurance carrier interested in more detailed information about how you could benefit from services at AutoBodyAlliance.com, please follow the appropriate subjects below or contact us directly. Repair facilities can sign up for a free account and add their body shop listing online for the thousands of visitors that come to AutoBodyAlliance.com site each day. They will also become eligible to apply for the managed repair network along with other benefits. Insurance carriers can take advantage of the free shop search tool to find reputable body shops throughout the country. Create an account to utilize our managed repair network, customize it for your specific preferences, or completely create your own. Dispatch claims electronically and find stats on facility utilizations. 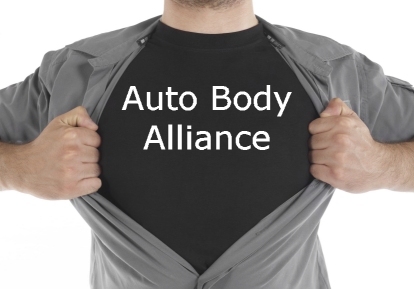 AutoBodyAlliance.com’s name itself reflects its core business philosophy, the importance of shared values between partners in providing a full spectrum of quality repairs to the consumer. The beliefs of AutoBodyAlliance, like its parent company, revolve around Integrity, Innovation and Commitment to our clients and service with principles of Honesty, Respect, Responsibility and Valuing Others as Ourselves.